Welcome to #HathChat: In this new blog series, we’re featuring a Q&A with a different member of the Hathaway Brown faculty and staff. Bookmark hb.edu/blog for a new HathChat every other week! This week, a special Earth Day #HathChat: Meet Torrey McMillan, director of the center for sustainability at HB! As a Hathaway Brown alumna from the class of 1990, Torrey McMillan co-founded The Lorax and the recycling program. Now back at HB, Torrey leads the school’s sustainability initiatives, helping to weave the principles and practices of sustainability — including issues of economics, the environment, social equity and human wellness — into the curriculum, culture and operations of the school. Read on for more! Every day is so different, it’s hard to say. The only thing that is consistent is time spent outside with my dog, Meadow. We have our daily outings around the Shaker Lakes and on weekends…trail runs, mountain bike rides, or cross-country skiing outings when there is snow on the ground. Beyond that, it’s student meetings and classes, project work, program development – all good stuff! Tell us about the path that you took and eventually led you to Hathaway Brown School. My favorite part of my job is working directly with students, helping them see and understand the complex issues and challenges we face in moving the world, and our individual daily lives, to a more vibrant, resilient and healthy future. I love the moments when students light up with a new understanding, or when they see the murkiness and gray areas in these challenges and their potential solutions, rather than seeing them as simple black and white issues. And, I love cultivating in students the active skills they need to make real changes in the world. This is a side-by-side process…one where I am more facilitator than teacher. The challenges I work on with my students are ones for which I usually don’t know the answer or outcome. It empowers them and prepares them for work that doesn’t come in neat, predictable packages…for life, that is! I love making that journey with them and being a learner with them, rather than the ‘all-knowing expert”! One example of all of this…this fall my Climate and Action class was working its way through an analysis of the costs and benefits of retrofitting the theater with LED lighting. On the surface, this doesn’t necessarily sound that fun. The moment when one of my students, who had indicated that number crunching isn’t really her thing, looked at the outcome of the analysis, and said, “That’s amazing…I had no idea it would make that big a difference. This is really cool!,” I knew we had done something important that day. How do you stay creative and inspired? I love collaborating with others. If I can build a project that brings in people with skills and perspectives different than my own, I learn and get all sorts of new ideas…and I get to do things that I wouldn’t be able to do on my own. My job at HB is part-time, but my other jobs also focus on education for sustainability in other realms, so I’m able to tap into a much wider network of resources and thinkers because of my work outside the school. Each job enriches the other! If you weren’t working in sustainability at HB, what do you think you would be doing? In my alternative reality I would have been a dancer…but that’s more a fantasy than something I can really imagine myself doing at this point. (I only made it through two weeks of ballet class as a child!) If I weren’t doing sustainability education, I might be working on climate change policy or programs or working to convert my family’s farm to be a model of sustainable agriculture. What is something most people might know about you? My family has a long history of doing pretty amazing wilderness expeditions, starting with my grandfather, Pete. When I was in middle school, he pulled out charts of Greenland from his days designing a US Air Force base there and suggested to me that I kayak the coast of Greenland someday. That sparked something for me. While I never did take his suggestion about paddling the coast of Greenland (when he realized a decade later that this was something I might actually do, he then told me he thought is was a bad idea because of the extreme coastline and rough waters there), in 1999 I did retrace a trip he did in 1933, circumnavigating New England in a tandem sea kayak. The route took me from Burlington, VT up to the St. Lawrence River and down the coast of Canada and the east coast of the U.S. Ten weeks and 1,700 nautical miles later, my partner and I ended our journey at South Street Seaport on Manhattan. That trip forged a bond with my grandfather that I’ll cherish forever. And, his quiet suggestions and stories as I was growing up were some of the best education I had about loving and respecting the power and beauty of the natural world around us. What does Earth Day mean for you? For me, Earth Day on April 22nd is a moment in the year to fall in love again with the amazing planet we live on. Take a moment to be outside, rain or shine, and revel in the exquisite and truly wonderful web of life all around us. You might also watch this video, The Overview Effect. It shares reflections from astronauts who have had the chance to look back at the earth from space. It’s moving and quite remarkable in its celebration of our planet and human’s place within the larger biosphere. 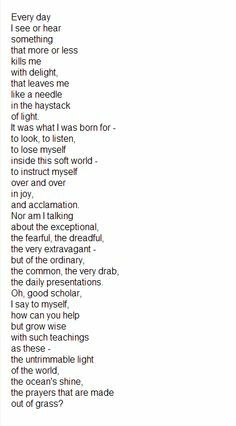 And/or take a moment to read this poem, “Mindful,” by Mary Oliver, one of my favorite poets. What school, career, or life advice do you wish you had received and that you would give to students today? I wish someone had helped me see earlier on in life (in high school) that all the awards and accolades and college acceptances that we so often hold up as markers of success are less important than knowing who you are and what you stand for in the world, and doing what you can to live that every day. Stay tuned for our next #HathChat coming soon! > See all #HathChat feature stories.